Are you ready to move to a bigger house? Are you ready to downsize? Are you moving to a new town due to job or family? For whatever reason you may have in selling your home, The Cummings Company can help you in every step of the selling process. We offer the following tips to help ease the stress of actually putting your home on the market to sell. Disconnect Your Emotions. When conversing with real estate agents, you will often find that when they talk to you about buying real estate, they will refer to your purchase as a “home.” Yet if you are selling property, they will often refer to it as a “house.” There is a reason for this. Buying real estate is often an emotional decision, but when selling real estate you need to remove emotion from the equation. You need to think of your house as a marketable commodity. Property. Real estate. Your goal is to get others to see it as their potential home, not yours. If you do not consciously make this decision, you can inadvertently create a situation where it takes longer to sell your property. The first step in getting your home ready to sell is to “de-personalize” it. Let your agent advise you at the listing appointment as to what personal items need to be packed away. Yes, that picture hanging on the wall may be your favorite pet, Fluffy, but the goal is to let potential buyers see their own pet’s picture hanging on that wall. You might not think that the living room looks too cluttered, but the buyers need to be able to imagine what their furniture will look like in this room. Make Your Home “Anonymous”. If there is a new home sales tract near your home, go visit. It doesn’t matter what size the homes are. What you will find are some wonderfully (but sparsely) furnished homes that anyone could live in — with the emphasis on “anyone.” They are anonymous. There may be a baseball glove in the boy’s room, but no family photos on the walls. There may be “personality” – but no person. Uncluttering the House. Here comes the hard part. What you have looked at for years on the mantle, the coffee table, the dining room, the kitchen and in the bedrooms and bath may be considered “clutter” by a potential buyer. Pack up the momentos, the family pictures, the extra books, and the sports equipment that is standing in the corner of the garage—all these items need to be packed up and stored off-site. Clean out your closets. Clean out the garage. Rent a storage unit for a few months until your house sells. 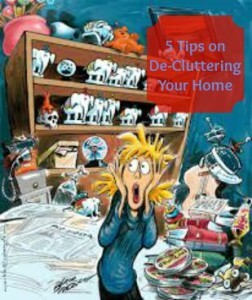 Packing boxes and then stacking them in the garage or the spare room does not “unclutter” your home. You have just rearranged the clutter. Ask a friend or your real estate agent to help advise you as to what needs to be packed up. Kitchen Clutter. Now comes the most important room in your home-the kitchen. You need to remove everything off the counters, even the toaster. Yes, put the toaster in a cabinet to use when needed. Pack up all the extra dishes, glasses, pots and pans, storage containers and small appliances that you do not use. Send these boxes to your storage unit. Potential buyers will open kitchen cabinets and drawers. If you have a junk drawer as most of us do, make sure that drawer gets cleaned out as well. Just how many restaurant menus do you need? Clean out your pantry. Start using those canned goods before you move. The buyer wants to be sure there is enough room for their “stuff.” If your kitchen cabinets, pantries, and drawers look jammed full, it sends a negative message to the buyer and does not promote an image of plentiful storage space. The best way to do that is to have as much “empty space” as possible. Beneath the sink is very critical, too. Make sure the area beneath the sink is as empty as possible, removing all extra cleaning supplies. You should scrub the area down as well, and determine if there are any tell-tale signs of water leaks that may cause a homebuyer to hesitate in buying your home. Getting the House Ready to Sell. Costs of Repairs—Do not do anything expensive, such as remodeling. If possible, use savings to pay for any repairs and improvements – do not go charging up credit cards or obtaining new loans. 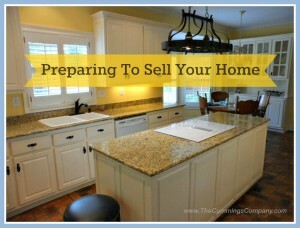 Remember that part of selling a house is also preparing to buy your next home. You do not want to do anything that will affect your credit scores or hurt your ability to qualify for your next mortgage. That being said, you do need to look at your sink fixtures. Are they clean? Do the faucets leak? Does the tub or shower have any stains, missing grout or mildew? Does the toilet continually run? Are there any stains on the porcelain? All these issues are fairly easy fixes and should not cost a lot of money. Potential home buyers will flip on lights, flush the toilets, and turn on the faucets while looking through your house. Be prepared. Ceilings, Walls, and Painting. Check all the ceilings for water stain, whether the leak is caused by plumbing or a faulty roof. Find the leak and repair it and make sure a proper job is done. Nothing irritates a buyer more than finding out – after the fact – about plumbing or roofing leaks. They will be talking about calling a lawyer faster than your car engine starts when you turn the ignition key. If a water stain is left after something you have already repaired, do the cosmetic work necessary to improve the desirability of your home. That means painting. 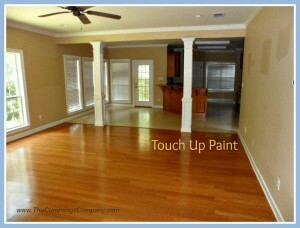 You may have to paint anyway, especially if dirt has accumulated in spots or you have an outdated color scheme. 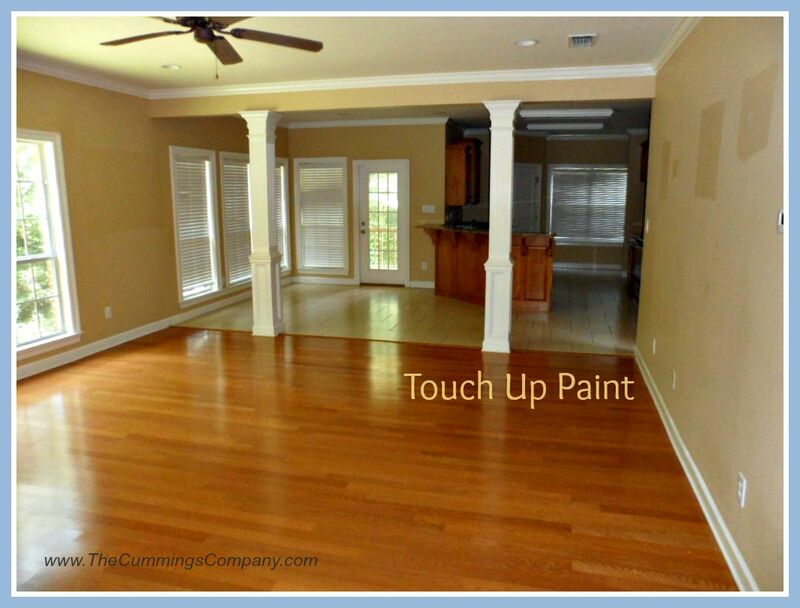 Painting makes a home look fresh and new on the inside and never fails to impress. Painting can be your best investment when selling your home. It is not a very expensive operation and often you can do it yourself. Do not choose colors based on your own preferences, but based on what would appeal to the widest possible number of buyers. You should almost always choose an off-white color because white helps your rooms appear bright and spacious. Carpet and Flooring. Unless your carpet appears old and worn, or it is definitely an outdated style or color, you probably should do nothing more than hire a good carpet cleaner. If you do choose to replace it, do so with something inexpensive in a fairly neutral color. Repair or replace broken floor tiles, but do not spend a lot of money on anything. Remember, you are not fixing up the place for yourself. You want to move. Your goal is simply to have few negative impressions upon those who may want to purchase your property. Windows and Doors. Check all of your windows to make sure they open and close easily. If not, a spray of WD40 often helps. Make sure there are no cracked or broken windowpanes. If there are, replace them before you begin showing your home. Do the same things with the doors – make sure they open and close properly, without creaking. If they do, a shot of WD40 on the hinges usually makes the creak go away. Be sure the doorknobs turn easily, and that they are cleaned and polished to look sharp. As buyers go from room to room, someone opens each door and you want to do everything necessary to create a positive impression. Odor Control. For those who smoke, you might want to minimize smoking indoors while trying to sell your home. Actually, it is best to move smoking outside. 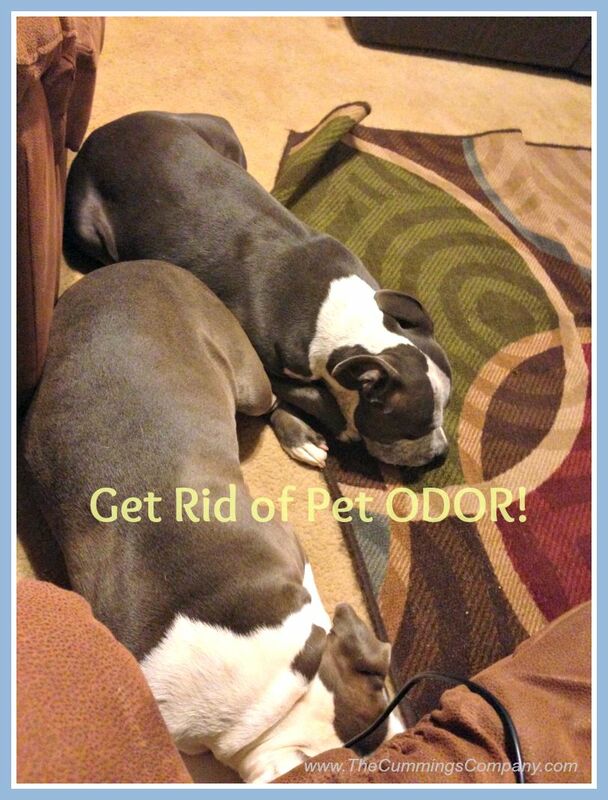 You could also purchase an ozone spray that helps to remove odors without creating a masking odor. Apologies to pet owners, but pets come with odors. You may have become used to them, but they are immediately noticeable to those with a more finely tuned sense of smell. For those with cats, be sure to empty kitty litter boxes daily and use plenty of baking soda. For dog owners, keep the dog outdoors as much as possible, even those adorable lovable little dogs. You might also try sprinkling carpet freshener on the carpet on a periodic basis. The Exterior of the House and Landscaping. Most real estate advice tells you to work on the outside of the house first, but unless there is a major project involved, it is probably best to save it for last. There are two main reasons for this. First, the first steps in preparing the interior of the house are easier. They also help develop the proper mind set required for selling – beginning to think of your “home” as a marketable commodity. Second, the exterior is the most important. A homebuyer’s first impression is based on his or her view of the house from the real estate agent’s car. They call that first impression “curb appeal.” So take a walk across the street and take a good look at your house. Look at nearby houses, too, and see how yours compares. Then it may be time to go to work. Trim trees and bushes if necessary. Make sure the walkway to your front door is clear and no bushes will brush the legs of the potential home buyer. Replace the plants in your pots by the front porch. Keep the yard mowed. Keep the grass and flowers watered. Very important here in the South during the summer months. Does your front door need to be painted? Are the windows sealed properly? Are there any problems with the roof? Does the siding need to be power washed? Ask yourself these questions as you begin the process of getting your home ready to list. Ask a friend or even your real estate agent for advise as to what needs to be done. All the above tips are necessary in getting your home ready to sell. This is a process but one you must be ready for before you actually list your home. Your agent will want to take pictures of the inside and outside of your home for the listing. He will want to market your home aggressively so you can sell in a timely fashion. If you have already accomplished these projects before you list, you are one step closer in selling your home. 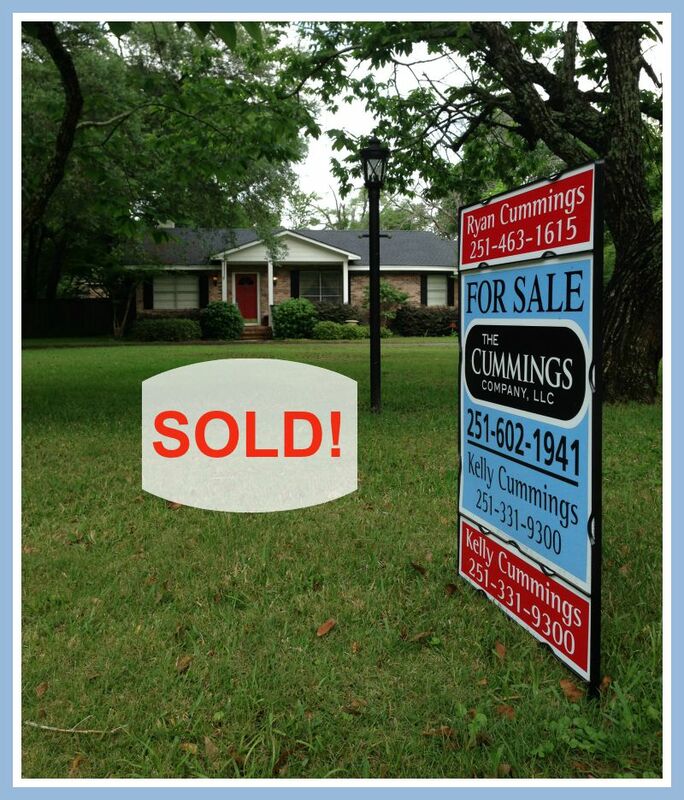 Let The Cummings Company advise you as to what needs to be done to get your home ready to list and sell. We are here to help you make this transition a good experience. 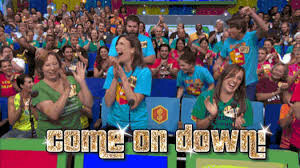 We are here to get your home sold! Call us and let us help you!